Please rotate your mobile device and resize screen to view our web site in landscape mode! Hursley's Museum is located in several rooms on the lower ground floor of Hursley House. From time to time there are also various displays in the Hursley House library. There is also a display area in the Bristol Office, where Cloudant staff are based, and in Manchester. By March 2018, most of the display rooms have been changed significantly. Many of the artefacts received from IBM Norway have been put straight out on display. 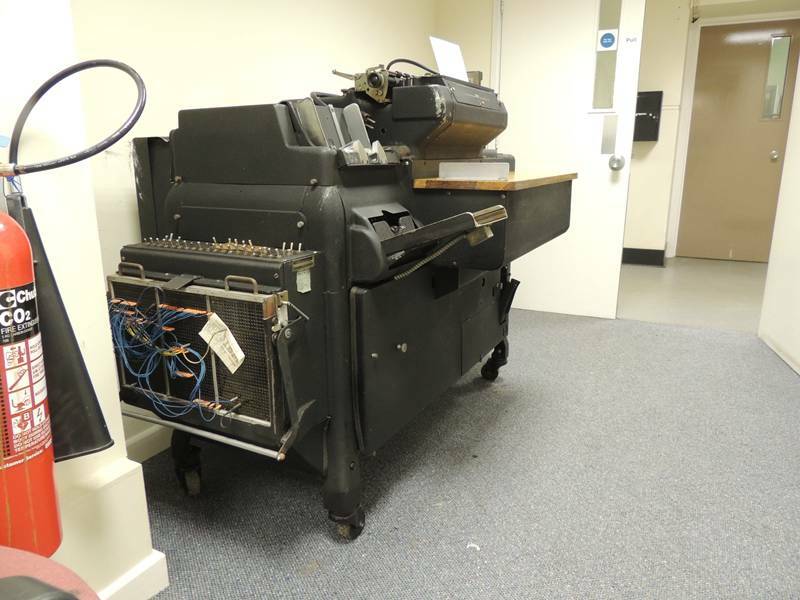 The Origins of IBM displays are now spread over two rooms, one covering Punch Card technology, the other time clocks, recorders and pre-IBM computing. 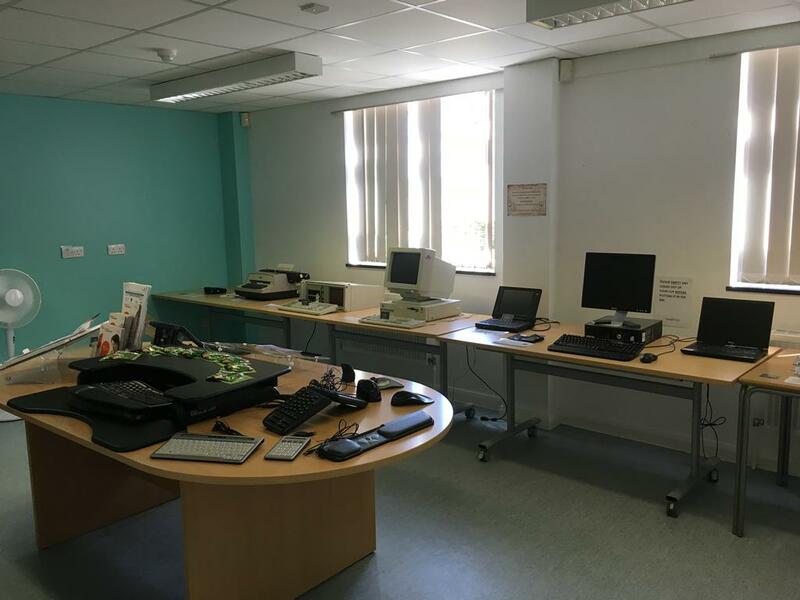 The Hursley room now has a System/370 console, reflecting Hursley's participation in the development of that series.The PC room has been completely rearranged, as has the room once containing ThinkPads and the Office Products room. Some larger items of Unit Record equipment fill the gaps. 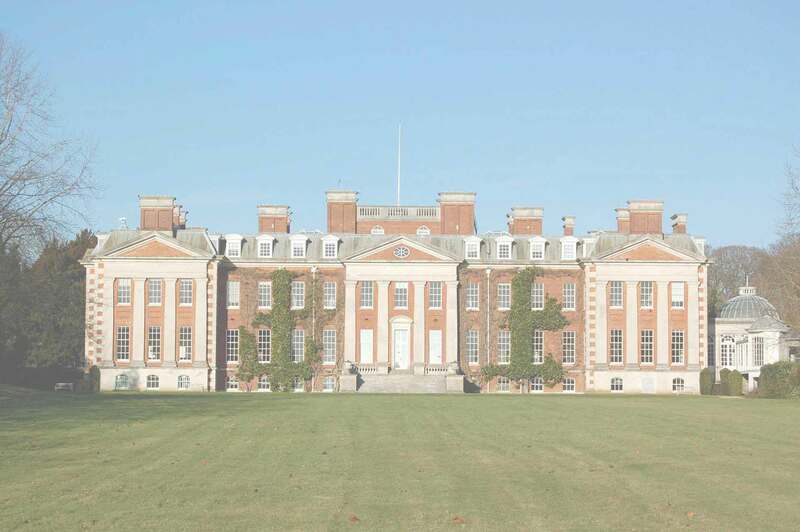 2018 marked 60 years since IBM moved into Hursley. Celebrations over the weekend included an open day on the 22nd September, which saw huge volumes of visitors throughout opening hours. The curators were kept so busy that we don't have any photographs! The previous weekend saw another annual Heritage Open Day, which was also well attended. 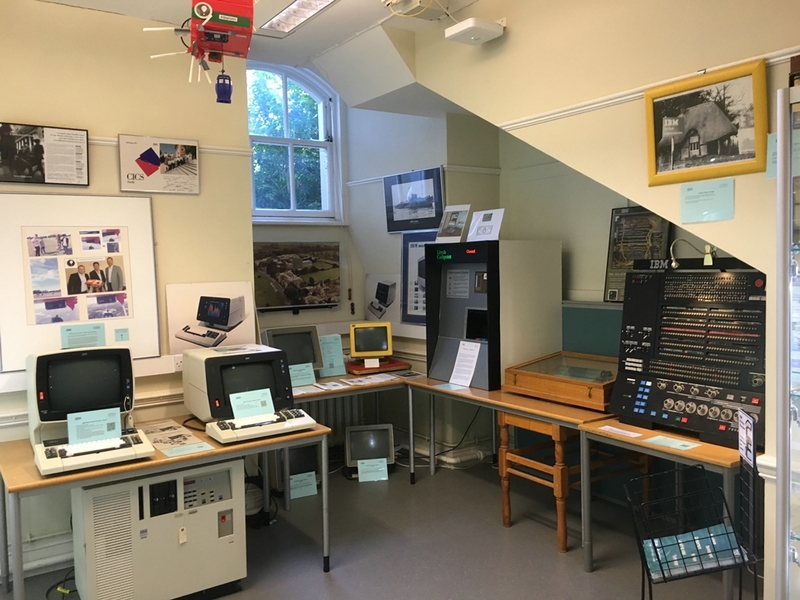 To mark the 70th anniversary of the National Health Service, the Royal Hampshire County Hospital arranged an exhibition, which included office equipment loaned to the hospital for the occasion by the Hursley museum. 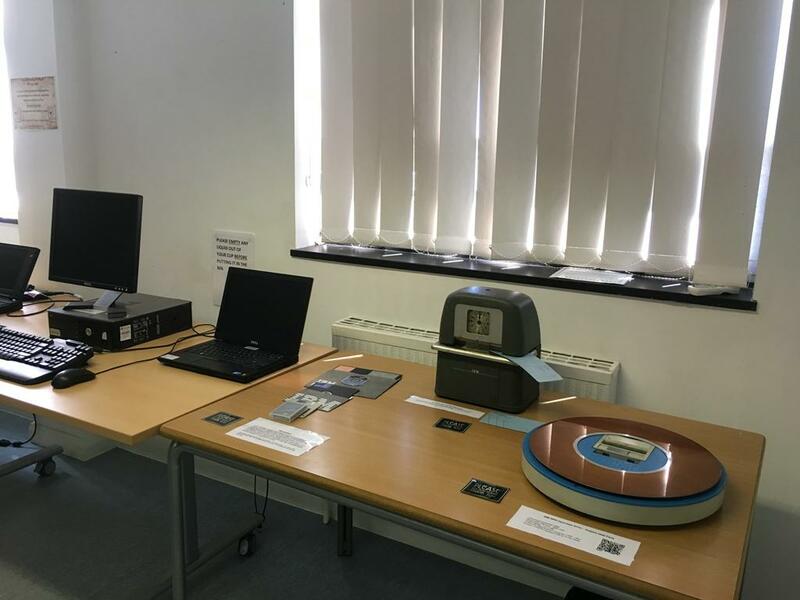 Our artefacts, including dictating equipment, a typewriter, PC and PS/1 were shown alongside new ergonomic devices designed to make using IT more comfortable and more easily accessible to people with special needs. 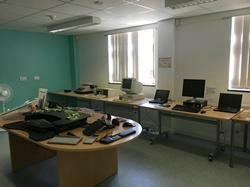 There was also a display of old medical equipment as well as the latest in training aids.